Preceded by the movie's three stunning banner posters, the new trailer of The Hobbit: The Desolation Of Smaug hits the web with a grand entrance. Fans have been asking for this in months, because obviously the first trailer just opened up a hungry chasm in everybody who's able to watch it. If you are like me, who is hoping to see the entire look of the dragon Smaug, then you are in for a great disappointment. Many have tried making some diagrams on how big the creature really was, but it was not really enough for me because I wanted the real thing. But at least we heard the voice of Smaug, courtesy of Benedict Cumberbatch. 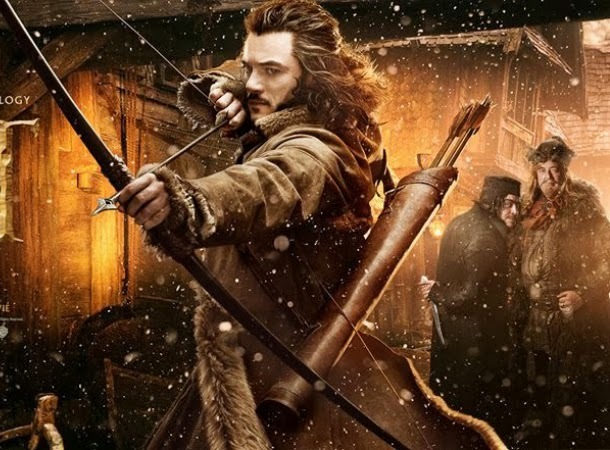 Watch the second trailer of The Hobbit: The Desolation Of Smaug. See the full-body look of Smaug during the release of The Hobbit: The Desolation Of Smaug movie on December 13, 2013.